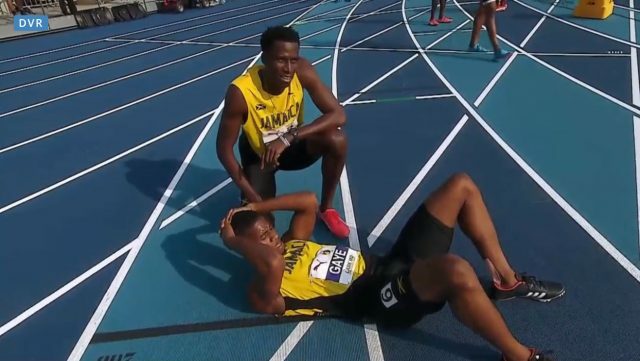 Team Jamaica won the Men’s 400m gold and the bronze medal on Day 2 of the 2018 NACAC Track & Field Championships underway in Toronto, Canada. Gaye won in 45.47 seconds ahead of Costa Rican Nery Brenes Carden, who finished second in 45.67 seconds. Jamaican Fitzroy Dunkley finished third in 45.76 seconds to take the bronze.